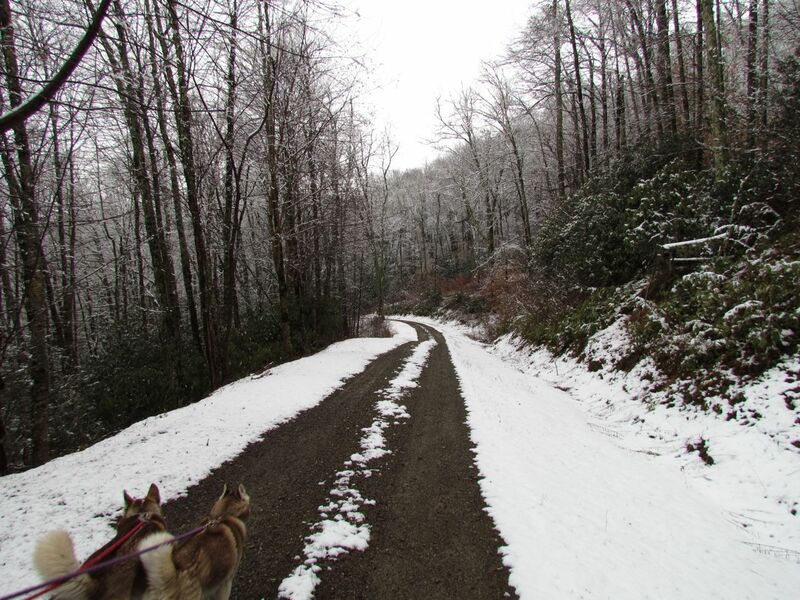 We are thankful we had some snowy roads to walk this past Sunday. You all are SO lucky!!! Yeah. So the Hu-dad could scream all those HBO words where no one but you guys could hear him… Come on, herd, give the guy a break. That is a very nice road to walk. I can feel the peacefulness through my computer screen! Enjoy! Enjoy it before it is all gone:-) We wish we had some!!! Our snow is almost gone too. I been munching on the small piles that are left- savoring it. Momma thinks I got a brain freeze b/c I stopped stared at here with my eyes crossed. I told my mom that I wanted to move to your place just now but she ignored my request! Good for you! And I am equally thankful that we had no snow-covered roads here. Of course, that may have been preferable to the pouring rain. Snowy roads lead to fun times! Or at least it seems that way in your blog (I’ve never seen a snowy road). Lucky dogs again. We will be thankful if we can just get out for a walk, snow or not. But of course, the snow would be nice. You know us – always up for walks (and bitey-face) in the snow! Enjoy the snow coming in! That is not something we would be thankful for but we know why you guys are! WOW! That is awesome. All of our snow is gone! Can we come over? Your luck really seems to be holding this year, Herd! Especially after those furry creatures attacked your porch! PeeEssWoo: Mom read your Wednesday post to Summiiii’s Mummi last night – to say she laughed would be a huge understatement! Your roads always look so picture perfect for exploring…snow or not! What a beautful place in which you live. That’s a good thing to be thankful for! I’m ready for either full on spring or a huge snow storm. I’m getting a little tired of the in-between. But, there’s lots to be thankful for!